What a ball we had at Brands. The biggest startgrid for the GP circuit in 2018 and an organsiation from Masters and MSVR that was flabbergasted how easy and cool we worked. And we saw a lot of drivers smiling all the weekend. So yes we will be back in Brands for another great event. The first guest appearance of the CSN Group Youngtimer Touring Car Challenge at the Masters Festival was a successful one. 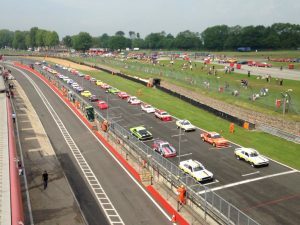 Organizer Randall participated with 44 cars, it was the largest field on the Brands Hatch Grand Prix circuit in 2018. And as usual the CSN Group YTCC there was an unprecedented variety of cars, even by British standards. From both Trabants by Albert Westerhuis and Bart Lemaire up to the newly rebuilt Pontiac Trans Am of Roger Bolliger, the whole lot of different cars made their appearance at the British track. The race series even made such impression on the British racefans on the Saturday that they arrived eraly and left late which was good for the occupation of the stands that the YTCC could switch on and off at the event on Sunday. The audience came early and stayed until the end on Sunday, while they usually leave after the Formula 1 race which took place earlier in the afternoon. The trophies eventually went to the Brown family, they rode a home race with three immaculately prepared Escorts for father Sean and sons Daniel and Robert. Daniel twice beat his father Sean, Robert made it with his third place on Sunday a complete family party on the podium. 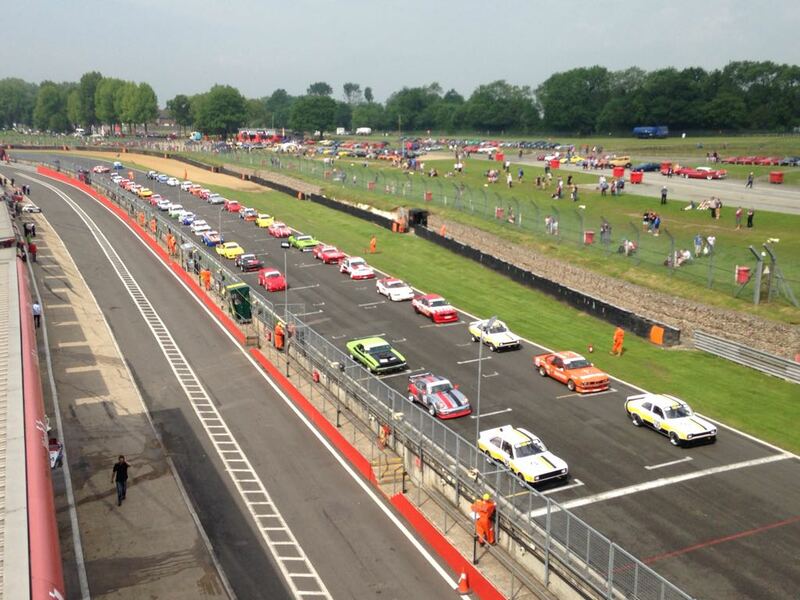 Only Peter Stox could challenge them in his Porsche 964, which earned him a third place on Saturday, but on Sunday, early contact with a Challenger put him out of the race. Both the YTCC drivers and the Masters organization were so enthusiastic about this YTCC performance in England that the orientation talks for 2019 will not last long.